Whether you love to draw snoozing cats, inquisitive horses, watchful birds, patterned landscapes, or stunning sunsets, there’s something for everyone in Creative Marker Art and Beyond . Dive into the awesome and dynamic medium that is the marker! This great guide kicks off with basic tools, materials, techniques, and color pointers. From there, the book jumps into creative prompts, easy exercises, and step-by-step projects. There's also helpful advice for successfully composing drawings, building and layering colors, shading, and adding pen. 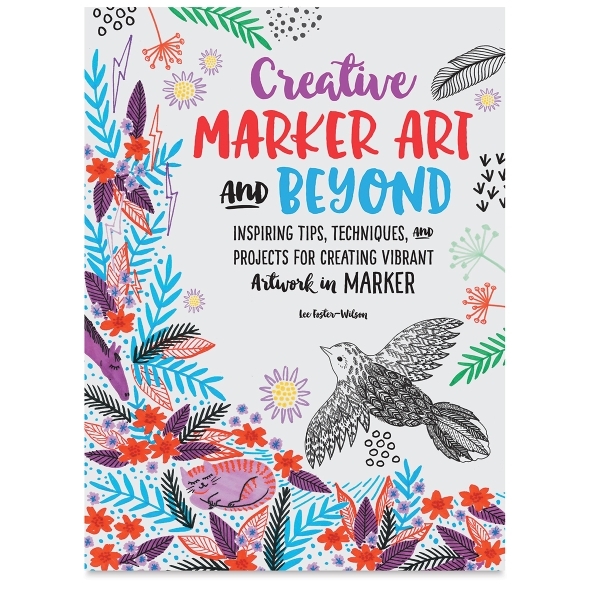 Create beautiful nature scenes, patterns, flowers, colorful trees, animals, and more with Creative Marker Art and Beyond . It's an excellent, inspiring resource for artists of all skill levels, as well as doodlers and coloring book lovers. Paperback. 144 pages. 8¾" × 11½" (22 cm × 29 cm).